Part of Apple’s close integration of hardware and software means there are lots of specific references to devices baked into the operating system. In the case of El Capitan, a few creative individuals with access to the developer beta found code that referenced an as-of-yet unseen 21.5-inch 4K iMac to go along with the 5K model that hit shelves in October of last year. The newest build of the beta provides some additional information that takes a step toward confirming the rumors. 9to5mac. 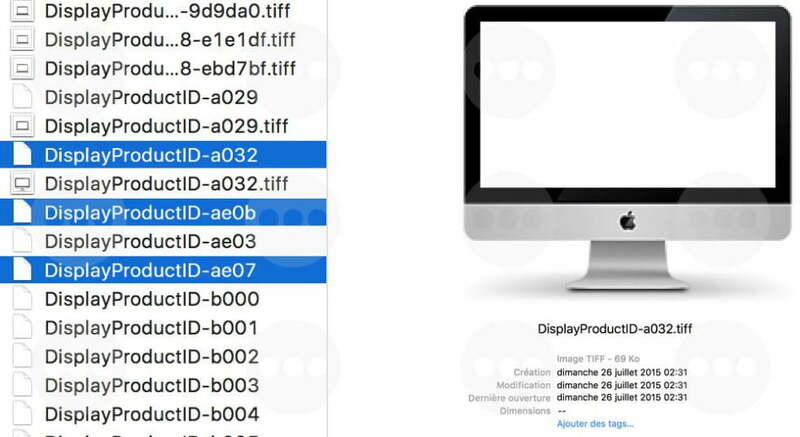 The information also includes rendered thumbnails of the 4K iMac, which doesn’t appear to have changed design-wise from the current generation. Also of note were references to updated 5K iMacs, likely an expansion of the internal components on the super high resolution all-in-one, although it’s suggested there may be some technological changes to the display as well. The last update was in October of 2014, so it seems like it’s time to invest in the 5K technology with better performance customization, or go back to the more standard 4K offerings. With El Capitan already in developer beta, it’s likely the update to the iMac line isn’t far off either. It’s not unreasonable to expect that Apple would update at the very least the popular collection of home computers to coincide with the release of the new OS update. So far, El Capitan only has a vague release date of fall 2015, but hopefully when Apple announces a more concrete date, the announcement will also include the updates to the iMac line.